The spatial and temporal variability of renewable generation has important economic implications for electric sector investments and system operations. This study describes a method for selecting representative hours to preserve key distributional requirements for regional load, wind, and solar time series with a two-orders-of-magnitude reduction in dimensionality. We describe the implementation of this procedure in the US-REGEN model and compare impacts on energy system decisions with more common approaches. The results demonstrate how power sector modeling and capacity planning decisions are sensitive to the representation of intra-annual variation and how our proposed approach outperforms simple heuristic selection procedures with lower resolution. The representative hour approach preserves key properties of the joint underlying hourly distributions, whereas seasonal average approaches over-value wind and solar at higher penetration levels and under-value investment in dispatchable capacity by inaccurately capturing the corresponding residual load duration curves. 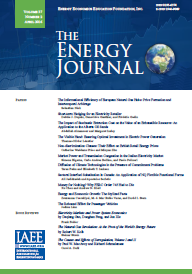 Proceedings - The role of curtailment in dealing with the variability of renewables.